There is only one world, but theories of international relations abound. Indeed, since the birth of the discipline of international studies after the First World War, many new theories have emerged. While some Chinese scholars claim the book Feigong《非攻》(Against Offensive War)written by the philosopher Mozi (墨子, ca. 470 – ca. 391 BCE) should be considered the first in the world on international relations, it's a fact that the views of Western scholars have dominated contemporary theories on the subject. Important ideas such as realism, liberalism and constructivism, among many others, are not invented by Chinese scholars. In 1977, Stanley Hoffmann (1928~2015) wrote an essay arguing that theories of international relations are "an American social science." Many years later, Stephen M. Walt found no conclusive reason to doubt that international relations theories remained dominated by scholars from the Anglo-Saxon world (the United States, the United Kingdom, and Canada). However, there was a caveat in his 2011 article: "That said, I do have this nagging doubt that maybe I've missed something or someone. So, nominations are now open: who are the most important writers on foreign affairs operating outside the Anglo-Saxon world?" In the 1980s, an ambitious idea appeared in China, calling for domestic scholars to establish a Chinese school of international relations theories, or "theories with Chinese characteristics." Three or four decades have elapsed since then, however, without that dream coming true. It does not mean that Chinese scholars in the field of international relations are incompetent. Rather, a few of them have yet been able to win recognition by their counterparts around the world. Undoubtedly, theories of international relations are important and necessary. However, for the purpose of making contributions to world peace and development, or understanding the world in a better way, we need to remember that diplomatic li-nian (理念) is no less important than a theory. There is no fixed translation for the word li-nian. It has meanings encompassing belief, idea, thinking, doctrine, philosophy, concept, principle, etc. Differences between a theory of international relations and a diplomatic li-nian are evident. On the one hand, while a theory is the outcome of long-term academic research by scholars, diplomatic li-nian is expressed by leaders of a particular country in their speeches or writings. On the other hand, a theory is often an abstract type of thinking and reasoning, not always closely related to the reality of the world situation. However, a diplomatic li-nian never fails to reflect the perception and judgment of political leaders about the world. Therefore, a country's foreign policies are influenced more by li-nian than theory. Since 1949, Chinese leaders have put forward quite a few ideas in this regard. Some of them are outdated as the world situations and domestic conditions on which they were based have dramatically changed. For instance, Mao Zedong suggested the world's proletariat should (and would) unite to 'liberate humanity." When the Cultural Revolution (1966~1976) ended, this particular li-nian was dropped. In recent years, to build a community of shared future for humanity has become China's most important diplomatic li-nian. It first appeared in the White Paper entitled "China's Peaceful Development" published by the Chinese government on September 6, 2011. At the 18th National Congress of the Communist Party of China (CPC), in November 2012, the then Party chief Hu Jintao reaffirmed this in his report. In March 2013, President Xi Jinping embarked on his first overseas trip to Russia and Africa as China's paramount leader. In his speech delivered to a university in Moscow, he said he likened the world to a global village or a community of a shared future with deepening inter-dependence among nations. Since then, he has repeatedly mentioned this diplomatic li-nian on various occasions. 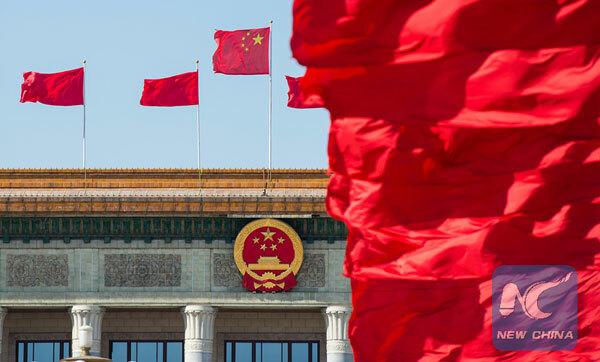 At the 19th CPC National Congress in October 2017, this particular li-nian was written into the Party constitution; and, at the 13th National People's Congress session in March 2018, it was added to the national Constitution. As a result, it has become the will of the nation and the Party. Apart from the community of a shared future for all humanity, President Xi has also proposed to construct such a community for Asia, the Shanghai Cooperation Organization, China-Africa, China-Latin America, China-ASEAN, China-Arab, China-Cambodia, China-Pakistan, China-Belarus, China-Vietnam, China-Uzbekistan, China-Kazakhstan, China-Laos, and China and its neighbors. Moreover, he has also suggested a similar development in cyberspace. From his various speeches, we can see that this is composed of five pillars: peace, security, economic prosperity, cultural harmony and a green environment. These objectives will not be realized shortly, but humanity should not stop cherishing this dream for the world. In conclusion, although no Chinese school of international relations theories is born yet, diplomatic li-nian like building a community of a shared future for all humanity is much more important and helpful. And, this philosophy can also serve as a guiding principle for Chinese scholars to establish a Chinese school of international relations theories.